Both mail services should still be active. Email client which supports IMAP/POP/SMTP protocol is installed. This guide contains step by step instructions of the process using MacMail client. 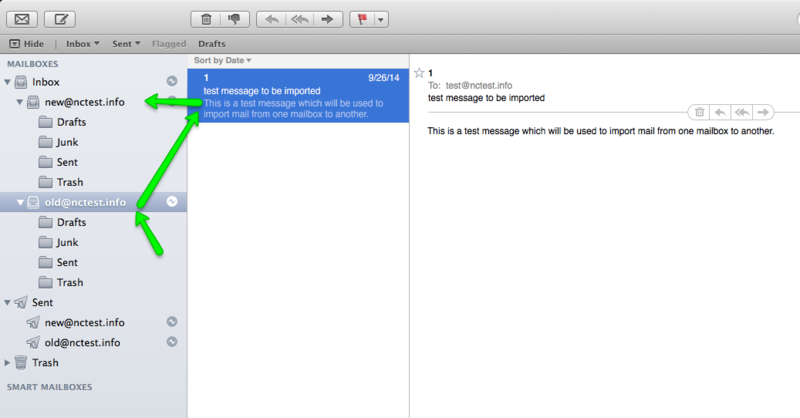 Once the emails are dropped to the new folder MacMail will automatically upload emails to new server.